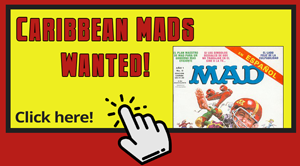 The first MAD Magazine in Brazil was published in the early 70’s by Vecchi. It was edited by Otacílio D’Assunção, the first and long-time editor of almost every Brazilian MAD edition. His career started with the first MAD in 1974 and ended October 2008. He was replaced in 2008 by Raphael Fernandes, who is still working as the editor of the current MAD. In the end of the 70s MAD in Brazil reached its most successful time under Otacílio D’Assunção. In the ’80s the MAD publisher Vecchi went bankrupt. The magazine ceased publication for several months and was re-animated by Record in 1984, again under the command of Otacílio D’Assunção. Throughout the 90s, the Brazilian MAD continued to be published by Record, who was responsible for the magazine until 2000. Very low circulation of the magazine forced Record to stop the publication again. 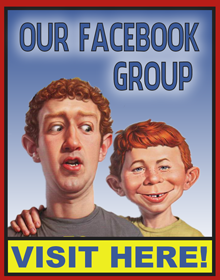 Only a few months later, Mythos tried the next attempt to establish MAD as a leading humor magazine in Brazil. The Mythos edition lasted 6 years until 2006. After a period of over a year (by the way the longest period of time the magazine wasn’t published in Brazil). 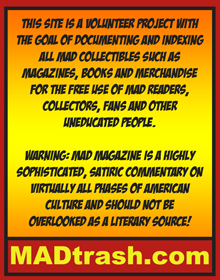 MAD started again to hit the newsstands. This time Panini took over the job, which is a well-known and international publisher of comic books. (The current German MAD is also published by the Panini company group.) The first numbers were actually edited by Otacílio D’Assunção and the young Raphael Fernandes.